In many sites I check, this is really a big quickfix for your SEO! If you have a Joomla website that targets a local audience, like a shoe shop in your home town, you have an excellent way of using your location as a niche to target your SEO. There is no need at all to rank nr. 1 worldwide for the keyword combination shoe shop. Your site willsimply become lost within the big online shoe retailers who spend millions on promoting their site. 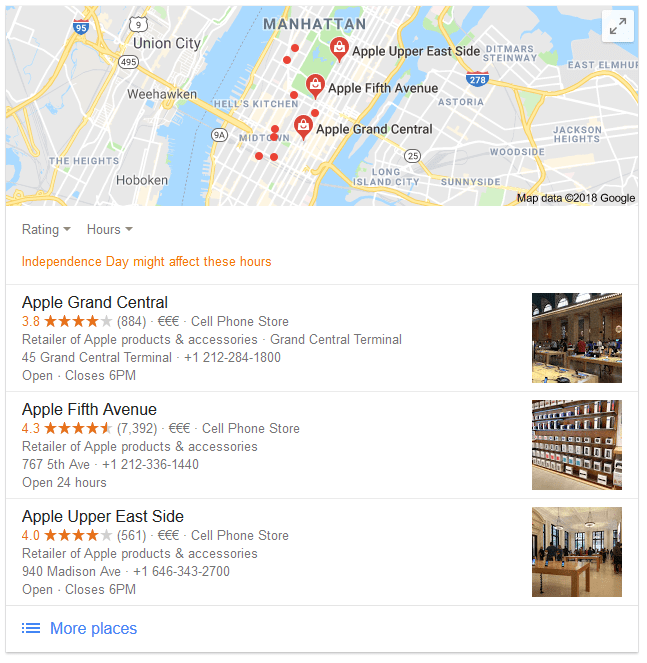 Using the location of your shop, you should focus on targeting local results, optimizing the keyword combination shoe shop your-town, which is much easier to target. If your rankings for shoe shop go up as well, that's only nice. You can optimize for local results by using your city on strategic places in your site, just like for "normal" keywords, so use it in your title, headings, alt-image text, etc (without stuffing of course).It may not only make you rank better in the web-search results, but also on the Google Maps listings. Definitely make sure to optimize your contact-page! Currently Google prefers JSON-format structured data (in the head-section of your HTML. You can easily generate this with microdatagenerator.org/localbusiness-microdata-generator. But there is also a nice plugin to add your address in Json format: Google Structured data Markup by Tassos. These 3 map-results are shown on top of the other organic rankings. They are also listed independantly, meaning you can have a map-ranking PLUS an organic ranking! But as the map-ranking is so prominent, it is really the target you should be aiming for. You can register your shop at www.google.com/business. 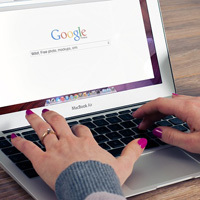 You can further enhance your listing with additional data like opening hours, your logo etc, while you can also connect a dedicated Google+ page for your listing. Make sure the data in Google Business and your site match (phone number, address, etc). Also make sure not to create duplicate listings. When your business moves, update your existing listing, do not create a new one. Note that in order to keep your listing active, Google advises you to sign in at least every 6 months. If you are done, this URL helps you to perform a basic check on your listing: www.synup.com/tools/google-checker. By the way, Bing Places is also available in many countries, and this could be a nice addition: www.bingplaces.com. For local SEO there are quite a few opportunities that you can easily use to promote your site. While usually link building can be very hard work, there are many resources specific for business listings that you can quite easily register for, giving you a link: some nofollow, but mostly a real follow-link. If you search the web for business directory, either globally or restricted to your country, you will usually find many. If you prefer not to maintain these listings manually, you could sign up with the people from Moz.com. They provide the Moz Local service (previously known as Getlisted), which automatically sets up some of these services for you for a yearly fee. Currently, the service is limited to US and UK based businesses. Next to these general listings, you can also look for business specific services. An example for hotels and restaurants is Tripadvisor, but there are many more for other specific businesses. If you have registered om multiple of the above-mentioned services, make sure to create them with consistent NAP Details, consistent with the details on your website. Inconsistent NAP Details devalues the use of these services. Correct them yourself, or contact the owner of the service to correct them. Correct use of NAP details can even make citations that do not even link to you assist your local SEO efforts. Finally, getting reviews on either your own site or the sites of the citations is crucial. They are considered as one of the top-factors in having a good local presence in search engines. Similarly, citations can also help. citations are mentions of your company / brand. This does not even have to be a link!